I’ve been using these products for about three months, now. If they were going to work, it would be evident by now. 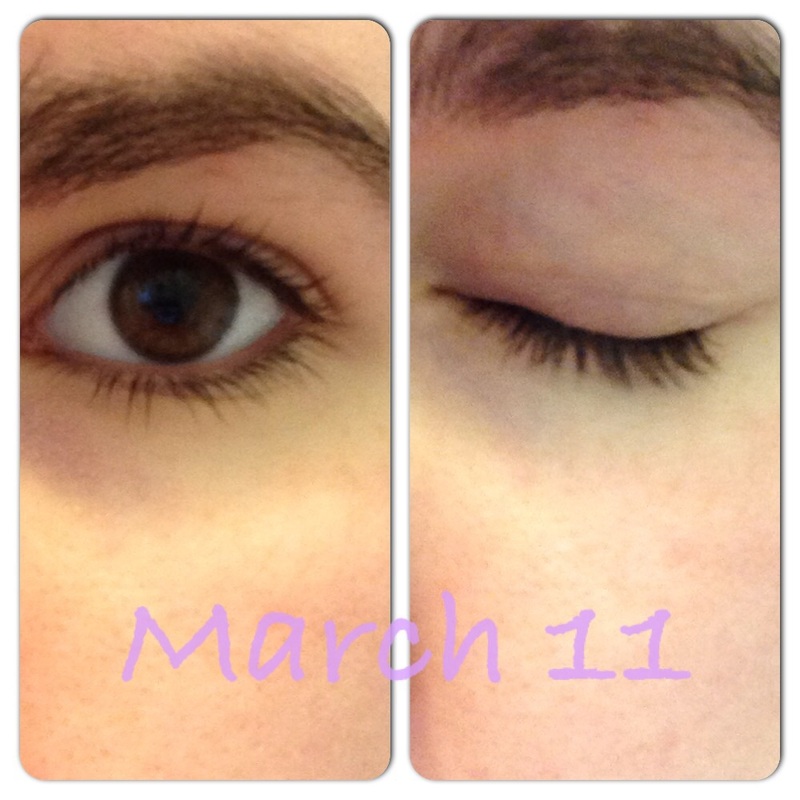 This experiment was meant to see if these lash growing products really work over time, and I’ve been taking photos on the 11th of each month to show my progress. Below are my results and thoughts. So, we can see some progress here. I’ve noticed a change when applying mascara, that it brushes against my skin close to my eyebrows and it didn’t do so as often before using these products. I also must admit I did not use this religiously, there were nights that I simply forgot to put the syrum on, or did so and rubbed it off in my sleep. These past few days, I’ve noticed it start to sting my eyes more than it did before, but I think it’s almost done, so that could be a symptom of an old tube. So, here it is! You know, seeing these photos makes me think this hasn’t made much different. Is it worth the money? Maybe not, if you’re a college student (like me). It did do something, though. I’m conflicted because I’m self-conscious about my eyes, and this makes me feel better at the very least. For me, it’s possibly worth it, for the millimeter of difference, but if you don’t want to pay 75$ for a small change, I don’t blame you. The problem with eyelash products is that you can’t stop using them, because eyelashes re-grow every 3 months. You’re either really in or really out, when it comes with things like this. Well, that’s my full review! What do you guys think? Does it look much different? Would you try it? Let me know! You have amazing bottom lashes which might be a weird compliment but it’s so true. I don’t see enough of a difference that I personally would shell out 75 dollars but if it makes you more confident in yourself? I say there is no price tag on that and you should keep buying it even if it’s a mental thing. Haha, that’s not a weird compliment at all, thanks! Yeah, idk about buying it again. I mean, I did legitimately think I had longer lashes, but that’s really expensive for a placebo pill. I might just skip it and try a new mascara instead, even if I got the world’s fanciest mascara, I doubt it’d be /that/ expensive.